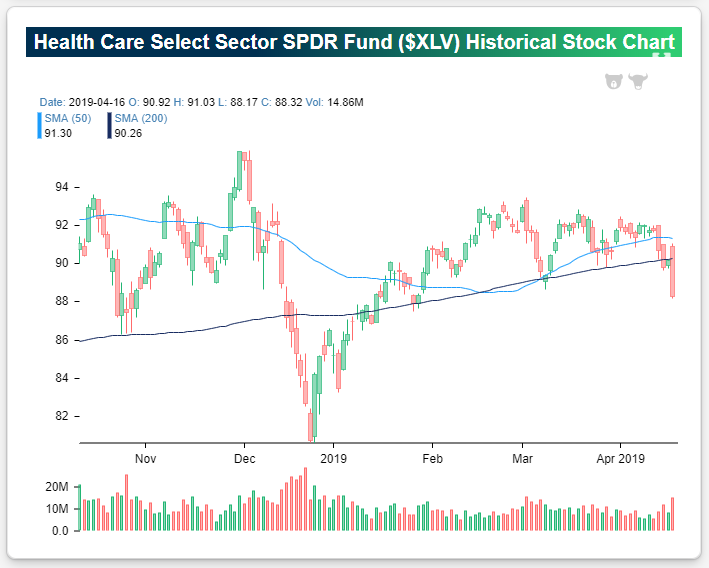 As shown in the chart below, the Health Care sector ETF (XLV) took a nosedive yesterday to break below its March lows after UnitedHealth (UNH) — which has a pretty big weighting in the sector — fell 4% in reaction to its Q1 earnings report. This weakness has been a trend for Health Care all year now. The sector has been lagging the S&P 500 badly this year, and after yesterday’s declines, Health Care is underperforming the S&P 500 by 14 percentage points YTD. 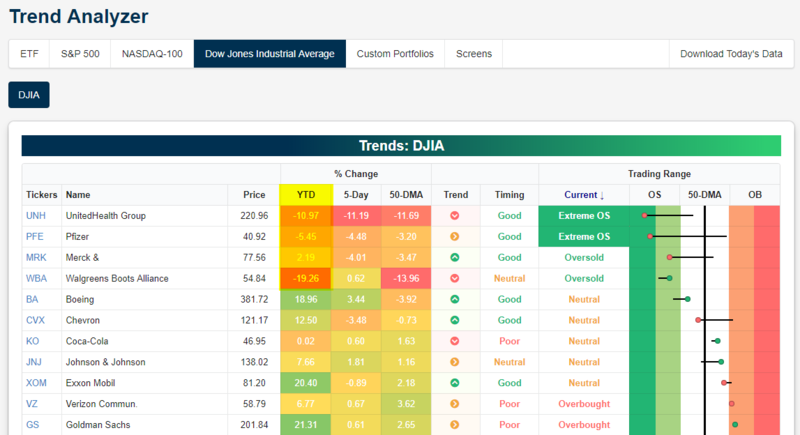 As shown in our Trend Analyzer snapshot below, every sector is above its 50-day moving average right now except Health Care, which is now trading at extreme oversold levels at more than two standard deviations below its 50-day. Not only is Health Care underperforming this year, but now it’s up just 2% YTD and another day like yesterday will put it in the red for the year. In the Dow Jones Industrial Average, just four stocks are in the red on the year, and they’re all Health Care names. 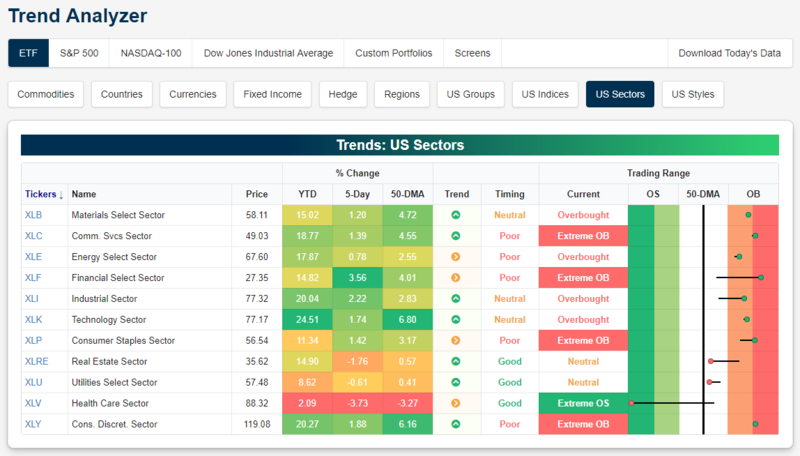 Both UnitedHealth (UNH) and Pfizer (PFE) are in “extreme” oversold territory, while Merck (MRK) and Walgreens (WBA) are merely oversold. Is Health Care going to eventually outperform given how weak it has been relative to every other sector this year? We analyzed the likelihood in a Chart of the Day yesterday that you can access with a two week free trial to any of our premium research subscriptions. You’ll also gain access to a number of interactive tools whose snapshots were featured in this post.